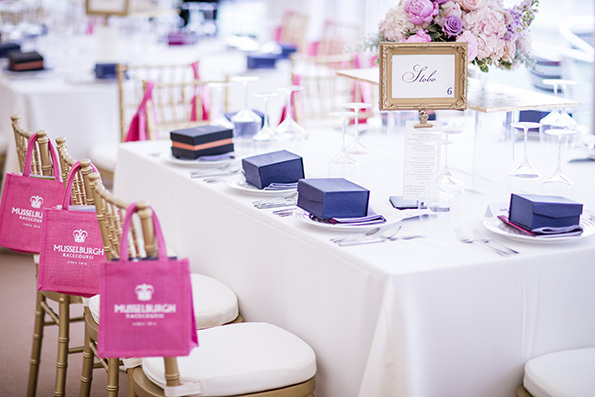 Don't miss Stobo Castle Ladies Day 2019 at Musselburgh Racecourse on Saturday 1st June - Scotland's biggest & most prestigious 5 star Ladies Day. It's an annual sell-out event! The After-Racing Party will be hosted by the wonderful Edith Bowman on the Mane Stage - open to all racegoers! *Please be aware there are no children tickets on this day and they must purchase a general admission ticket. 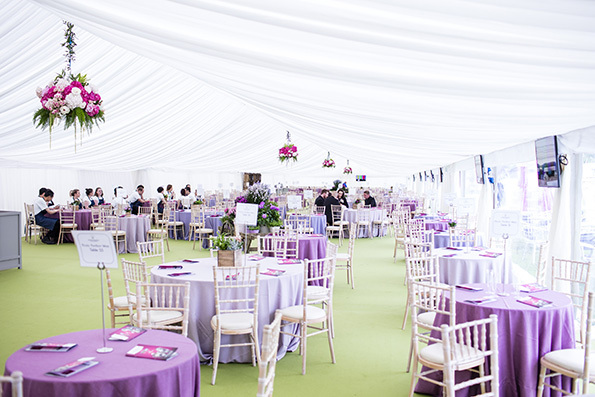 Alongside admission and a race programme our Picnic Pavilion packages includes a reserved table (min of 4) for the day within the picnic pavilion marquee. 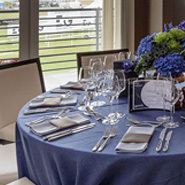 The marquee also includes a dedicated bar, betting facilities and private washrooms. The option to add on a Picnic and Prosecco to your booking will be available soon. Please note this package is only available on Stobo Castle Ladies Day. Alongside admission and a race programme our Picnic Pavilion packages includes a reserved table (min of 4) for the day within the picnic pavilion marquee. The marquee also includes a dedicated bar, betting facilities and private washrooms. The option to add on a Picnic and Prosecco to your booking will be available soon. Please note this package is only available on Stobo Castle Ladies Day. Our gorgeous private Pommery Champagne Garden takes full advantage of it’s location to the parade ring. Greeted by our five star concierge, you will enjoy an exclusive atmosphere within our private pavilion. Delight in our elegant bars, contemporary furnishings and VIP service. You will feel like royalty! 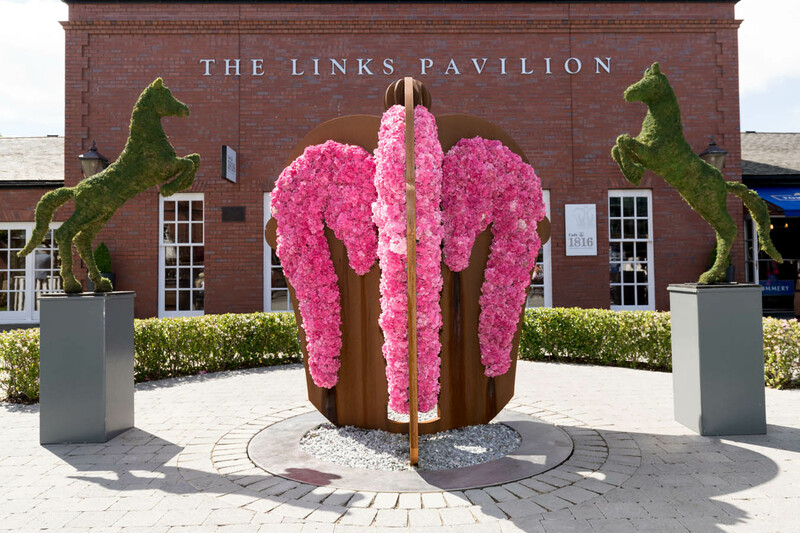 Our gorgeous private Pommery Champagne Garden takes full advantage of it’s location to the parade ring. Greeted by our five star concierge, you will enjoy an exclusive atmosphere within our private pavilion. Delight in our elegant bars, contemporary furnishings and VIP service. You will feel like royalty! Our Pommery Lawn is renowned for having one of the most sought after positions! Limited available and is sure to sell-out FAST. Secure your place now. Local seafood, cheese and meat platters will be available to purchase as an upgrade shortly. Picnics are not permitted in this VIP enclosure. 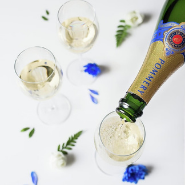 This luxury package includes admission, a table for four in our Picnic Pavilion Marquee, a delicious luxury wicker hamper and a bottle of Pommery Champagne. Your luxury hamper will include a wide selection of dainty finger sandwiches, savoury platter, antipasti selection and a selection of desserts including salted caramel brownie, mini scones with cream/ jam plus Scottish cheese selection with crackers and fruit. Vegetarian options are available. This package must be booked in advance and cannot be purchased on the day. Please note it is only available on Stobo Castle Ladies Day. Like this name suggests, this luxury VIP experience is sure to impress! 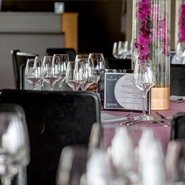 Located on the running rail and next to the finishing post, this dining experience will set the scene for an outstanding raceday. It is one of our most sought after positions on Ladies Day! Like this name suggests, this luxury VIP experience is sure to impress! 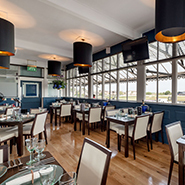 Located on the running rail and next to the finishing post, this dining experience will set the scene for an outstanding raceday. It is one of our most sought after positions on Ladies Day! Arrive to a private Pommery Champagne reception, indulge in a premium two course ‘Al Fresco’ lunch including scrumptious evening delicacies, socialise in the exclusive lawn, stay fresh all day with a visit to the VIP pamper lounge, watch every race from the comfort of this luxury marquee and dance away to one of the best local live bands around! * Drinks package includes: 4 main line spirits, house wine, beer and soft drinks. This is £300 + VAT per person and is sold by the table of 10.